Anna Marie Reilly, 95, passed away on Sunday, December 2, 2018, in Potsdam. Calling hours were held on Saturday, December 8 from 2:00 to 4:00 p.m. at the Green Funeral Home, Gouverneur; burial will be held in the spring in New St. James Cemetery, Gouverneur. 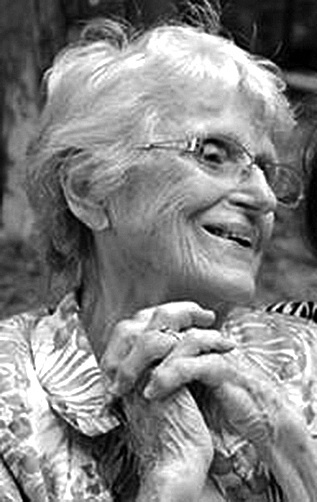 Anna was born in Farmington, Missouri, on April 6, 1923, the daughter of Frank and Augusta Seitz. She married John G. “Mike” Reilly, Jr. on January 8, 1950 in Bonne Terre, Mo., where the couple began their life together and their family. In 1953, they moved to Edwards, then to Balmat, where Mike worked for many years at St. Joe Mineral Co. In 1966 the family moved to just outside Gouverneur, which has been their home since. Anna was a devoted homemaker and mother of seven. She was a faithful member of St. James Catholic Church, enjoyed bowling, going for walks with her friends in the neighborhood, and watching her children and grandchildren grow up. Anna is survived by her husband Mike, her children Gay Reilly of West Virginia, John Reilly of Georgia, Mary Reilly of Saratoga Springs, Peter Reilly of Newfield, Joe Reilly and his wife Annie of Canton, Cindy Gadbaw and her husband Randy of Canton, Tom Reilly and his wife Danta of Virginia; grandchildren Kate Gadbaw, Ian Gadbaw, Patrick Reilly, Michael Reilly, Frank Reilly and Dan Reilly, and great-granddaughter Anna. In lieu of flowers, the family has suggested donations be made to St. James Church, 164 E. Main Street, Gouverneur, NY 13642 or Gouverneur Volunteer Rescue Squad, PO Box 164, Gouverneur, NY 13642.